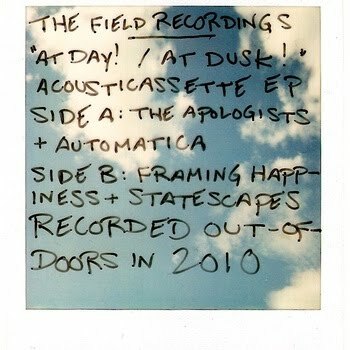 There's a new release by The Field Recordings that just made it's way to us. It's a little different than their usual, as this is fully acoustic live set. You can snag it on cassette at their shows for only $2. Until then, stream it ahead of time right here thanks to bandcamp. Wrap your ears around this ASAP.